See Scott Prince at Grandma and Grandpa’s Buggies, this guy is a super dealer and down to earth. Any time I hear a golf car has that many issues, Its mechanic related. You find the right shop and you don't have the issues. No way a new cart like that needed 1500 bucks worth of work. Agreed,,,,,,,,,,,,,,,,,,,,,,, Well to be honest, let me see, it is a Yamaha, Right? Golf carts are covered under the lemon law. You can find the info on the internet. We had a golf cart from the Villages golf cart that was a lemon and they honored the lemon law. The quiet-tech eliminates the main advantage of owning an electric cart, the noise difference between gas and electric. In my opinion, there is still nothing quieter than an electric cart. The ride is smoother also in an electric cart. Sis owns a Yamaha quiet tech and it can't compare to the ride quality and quietness of our Yamaha electric cart. I came down in December and got Dad a substantial discount on a Yamaha, not club car, that he is very happy with. He's happy so I'm happy. Agree, until it runs out of juice, then the ride is bumpy and louder when getting towed by a gas cart. Already towed two electric carts in 2019. One guy insisted on driving when we paired up for golf, so to be a good sport I went along with it. After 12 holes the cart died! 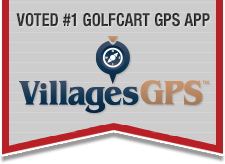 I will never get into someones electric cart again for a round of golf, paying winter rates, I like to finish the round without worries.